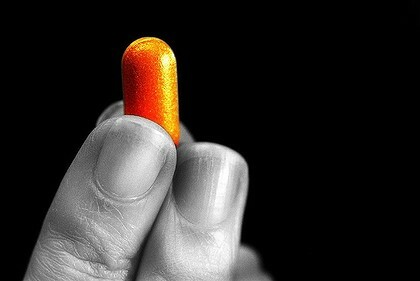 A pill to enhance moral behaviour; a treatment for racist thoughts; a therapy to increase your empathy for people in other countries – these may sound like the stuff of science fiction but, with medicine moving closer to altering our moral state, society should be preparing for the consequences, according to a book reviewing scientific developments in the field. The field is in its infancy but “it’s very far from being science fiction”, says the deputy director of the Oxford Centre for Neuroethics and a Wellcome Trust biomedical ethics award winner, Dr Guy Kahane. But would pharmacologically induced altruism, for example, amount to genuine moral behaviour? “We can change people’s emotional responses but quite whether that improves their moral behaviour is not something science can answer,” Kahane says. He also admits it is unlikely that people would rush to take a pill that would improve their morals. The chairman in ethics in medicine and director of the centre for ethics in medicine at the University of Bristol, Professor Ruud ter Meulen, warns that while some drugs can improve moral behaviour, others – and sometimes the same ones – can have the opposite effect. “While oxytocin makes you more likely to trust and co-operate with others in your social group, it reduces empathy for those outside the group,” he says. He says deep brain stimulation, used for Parkinson’s disease, has had unintended consequences, leading to cases in which patients begin to steal or become sexually aggressive. Poll: Where do you stand on the idea of a pill to enhance moral behaviour? You will need Cookies enabled to use our Voting Feature.